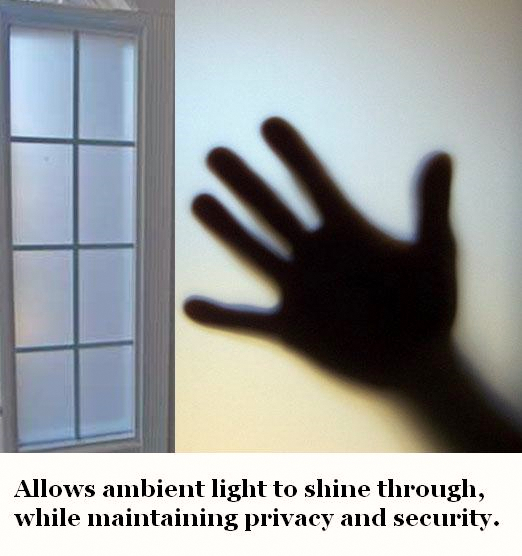 Have you consider frosted privacy film for glass at your residential property or commercial property? Frosted privacy film, better known as window frosting, is used at hundreds of property throughout the world for a variety of reasons. The primary reason why businesses choose window frosting for there Brisbane premises is privacy and security. When window frosting and glass privacy film is properly installed it will block any unwanted views without blocking out the light. Window frosting can also be used to add a decorative design to your window. This design can even incorporate business logos, business slogans and business names. Window frosting is an excellent solution for corporate signage and unique, decorative glass. We have over twenty years experience in signwriting and commercial window frosting. Take a look at some of our portfolio of window frosting designs and then get a free quote online. Our qualified window frosting Brisbane team service North Brisbane, Brisbane City and South Brisbane suburbs. We can provide window frosting for accounting firms, takeaway shops, government departments, medical centres, dental practices, restuarants and cafes as well as numerous other locations. Our team can customise window frosting to your specific requirements. If you have any questions, click here for our frequently asked questions. We can talk with you about your etched glass window frosting requirements. We can measure up the area and ensure that our window privacy film will meet your requirements. We then can provide a specific price for window frosting installation at your property. Our team will carry out all window frosting services in a timely and professional manner. We are happy to answer any questions that have not yet been answered, so do not hesitate to contact us. We are a highly qualified Brisbane window frosting team so call us on 0412 65 27 85 or email us now.